Precision Temperature is proud to be an authorized Trane residential and commercial Comfort Specialist for the San Diego area. Trane has over 120 years of experience making quality products that are some of the most reliable and energy efficient in the business. A heating and air conditioning pioneer and innovator since its incorporation in 1913, Trane is a world leader in air conditioning systems, services, and solutions. In addition to heating and air conditioning systems, Trane improves customers’ health and comfort with products such as air scrubbers and purifiers that can help improve allergies by removing up to 99.98% of allergens from the air. These same Trane air scrubbers and purifiers you use to improve the air quality in your home are used on the Space Shuttle and in doctor’s offices. Reliability, energy-efficiency, high quality, and innovation are the hallmarks of the Trane brand. 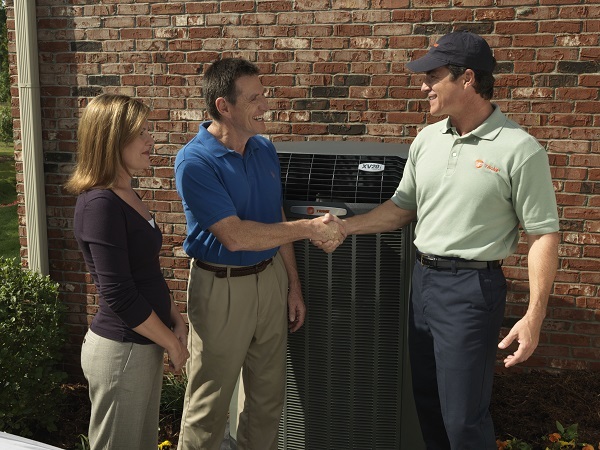 As an industry standard and market leader, Trane enhances the quality and comfort of both residential homes and commercial buildings. Trane is the most recognized, most preferred, and most highly rated brand of residential heating, cooling, and ventilation, with Trane residential systems being bought at a rate that averages out to one sale every minute of every day. As a San Diego residential and commercial Comfort Specialist, we can help you find the Trane heating and cooling system that is right for you. And with our special pricing packages, we’ll make sure the price is right, too. Whether you’re looking for an air conditioning system to help cool down and dehumidify the hot San Diego summer days, or a heater for the cool winter nights, trust the expert Trane Comfort Specialists at Precision Temperature to find the right Trane product to fit your needs! Visit us at http://precisiontemperature.net/ or call (619) 588-5321 to make an appointment today.